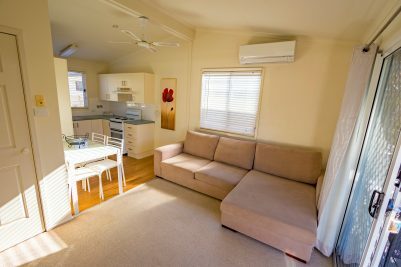 Mountain View Resort also offers 2 bedroom deluxe village cabins which will sleep either 5 or 6 people (depending on the layout). 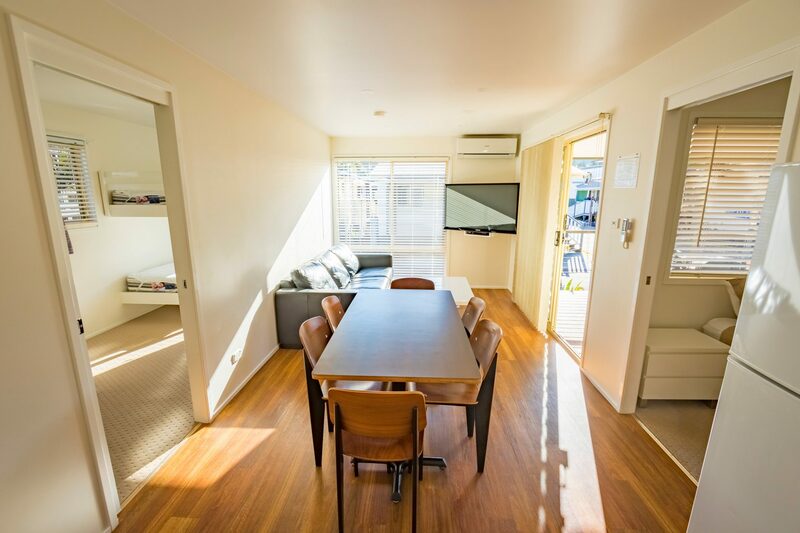 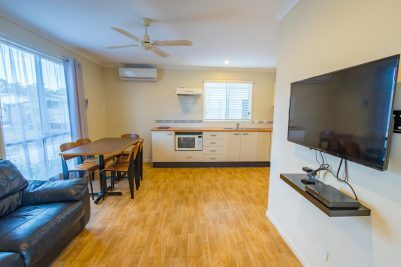 They have reverse cycle air-conditioning, a large flat screen TV with DVD or Blu-ray player, large undercover verandas with tables and chairs. The bedding is supplied on the main queen size bed. 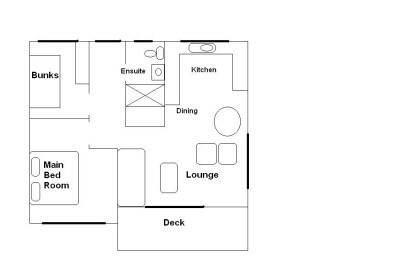 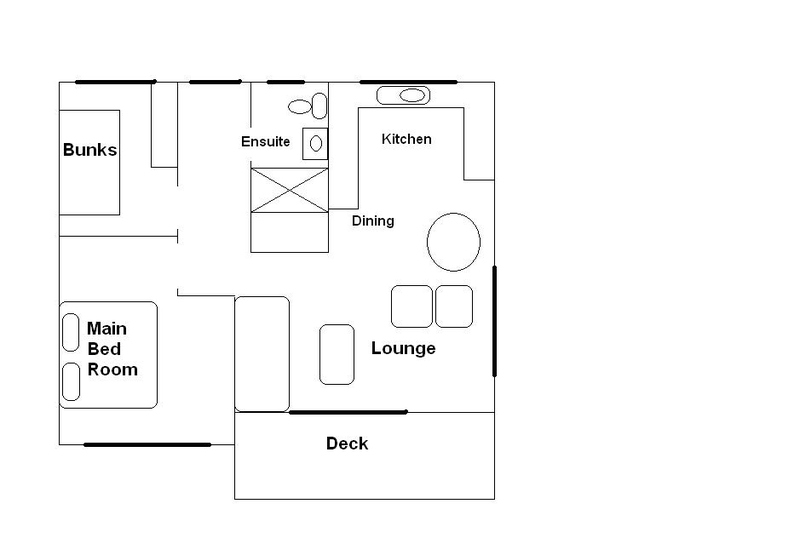 The Deluxe Village Cabins have a full kitchen including large microwave oven, stove or convection microwave, fridge, electric frypan plus toaster, jug and tea and coffee making facilities. 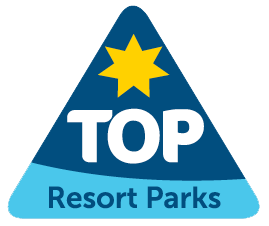 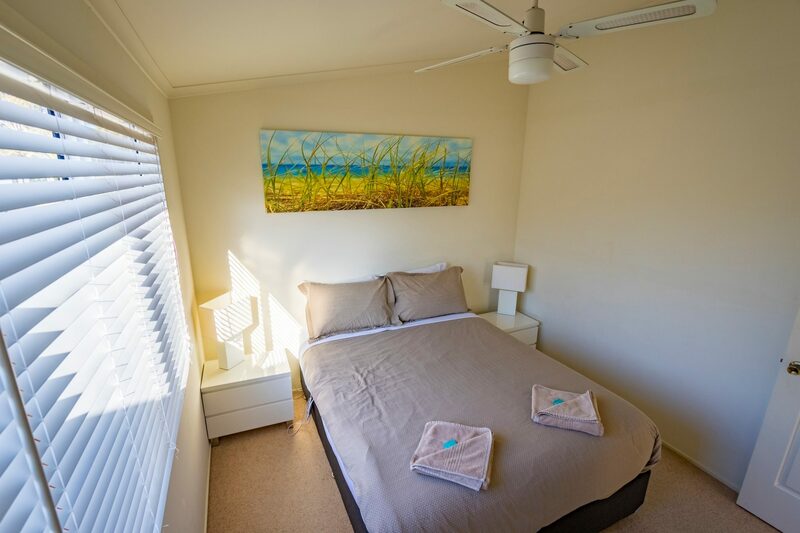 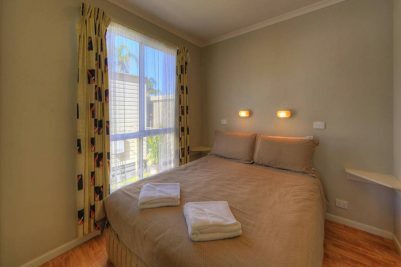 These cabins are a short distance to the pool and all park facilities. 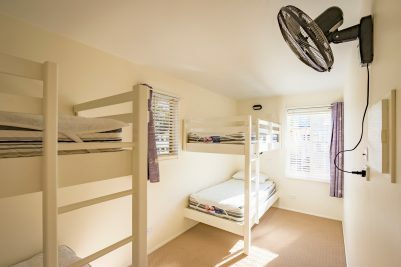 Cabin 3 and 96 – sleeps 6 in this cabin – has the Queen Size Bed in the main bedroom with all bedding provided, and 2 sets of bunks (ie, 4 single beds) in the second bedroom (no bedding provided in the second bedroom). 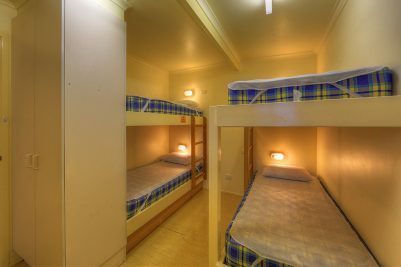 Cabins 93 and 120 – sleeps 5 in this cabin – has the Queen Size Bed in the main bedroom with all bedding provided, and a double bed/single bed in a bunk layout in the second bedroom (no bedding provided in the second bedroom). 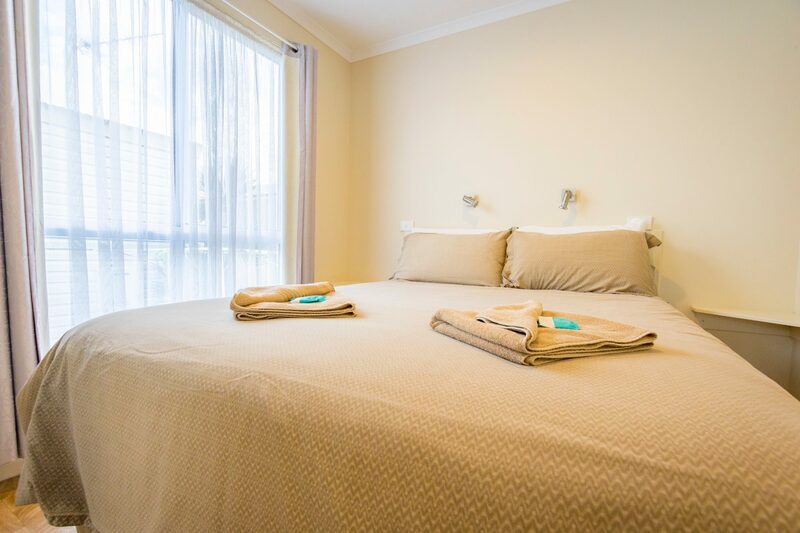 *** Linen included on main bed in the Deluxe Village Cabins. Linen hire available $20/30 per bed per stay.